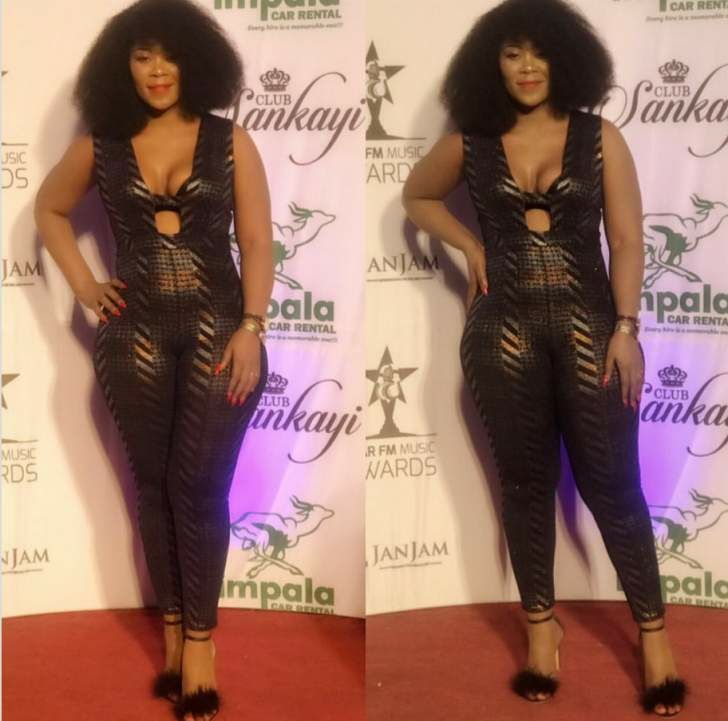 Comedienne Madam Boss has apologised as the 'indecent' figure-sculpting bodysuit she wore to the Star FM Music Awards offended some of her followers. #000; font-family:Arial,sans-serif; font-size:14px; font-style:normal; font-weight:normal; line-height:17px; text-decoration:none; word-wrap:break-word;" target="_blank">My dear Fans. Firstly I would like to apologize for my dressing at the STAR FM AWARDS. As you know I travel a lot,so mukufamba tinoona zvakasiyana siyana and I really thought this jumpsuit was going to be a show stopper to my fans but overally YOU MY FANS you didn't accept it that well. I do what I do for you,so it is with great deepest apologies from the bottom of my heart and I repeat AGAIN I AM SORRY. I am going to go back to those long dresses because they where more elegant than the jumpsuit. Ndiri munhu wenyama ndombotadzawo,and I hope you accept my apology. I love you all and God Bless. Firstly I would like to apologize for my dressing at the STAR FM AWARDS.As you know I travel a lot, so mukufamba tinoona zvakasiyana siyana and I really thought this jumpsuit was going to be a show stopper to my fans but overall YOU MY FANS you didn't accept it that well. In a national radio interview earlier this week, Madam Boss reportedly shared how she "felt that this was the kind of fashion that's trendy these days". "Plus, I advertise clothes and outfits for a variety of people, like that jumpsuit. Before I wear any piece of clothing I ask my husband which one I should be dressed in," she added. "When I started off in the industry I put aside my personal life. I'm not used to people insulting me. I do see some comments, but they don't really affect me. I felt that I needed to apologise and let people know that I'm sorry if they felt offended by what I was wearing."